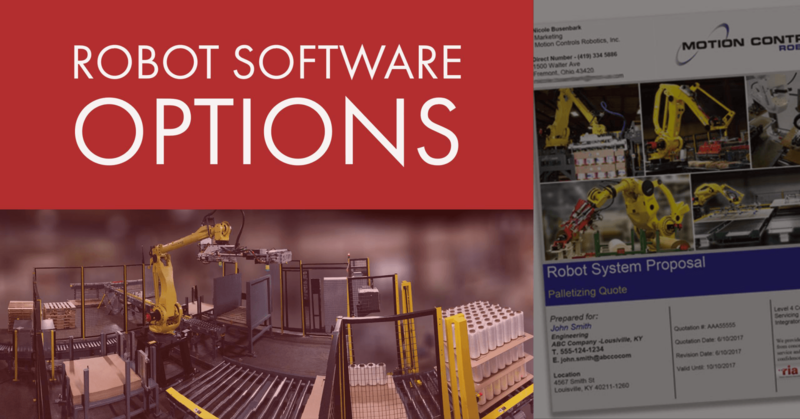 Recently, we had a prospective robotic material handling customer ask us if an LR Mate 200iC or 200iD could be used as a cold room robot (38 degrees F) food container handling environment to transfer pails of product from one conveyor to another. The short answer is “yes”. Actual practice is a little more involved, but the bottom line is that robots are “well suited” (pun intended) for low temperature and other hazardous environments. Basically, the grease inside the robot stiffens up to where the servo motor controls don’t like the responsiveness of the servo motors if the robot is allowed to cool close to 0 degrees C. By starting up the robot a little earlier and running it for a few minutes when it is very cold, starting out slow and gradually working up its speed over a few minutes, the grease in each of the robot joints warms up and the robot will operate just fine. Normal joint operation creates sufficient heat to overcome the cold environment under these conditions. Temperatures near or even below 0 degrees are commonly found in food palletizing and case packing operations, among others. 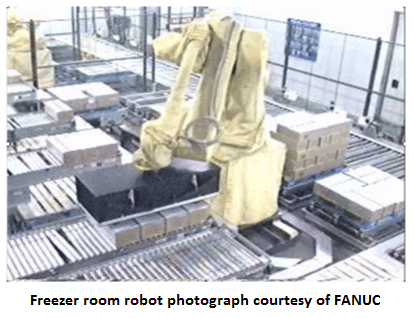 The FANUC LR Mate, larger M-10 and M-20 six axis robots as well as M1, M2 and M3 “spider” style robots are commonly found in cold and hazardous environments for case packing and other smaller scale cold room material handling such as packaged food case packing. The higher capacity, larger reach M-710, R-1000 and R-2000 robots are six axis robots capable of handling full cases of product, multiple cases of product at a time, multiple heavy products to be placed in a case at the same time, and are well suited for applications requiring greater reach or range of motion. 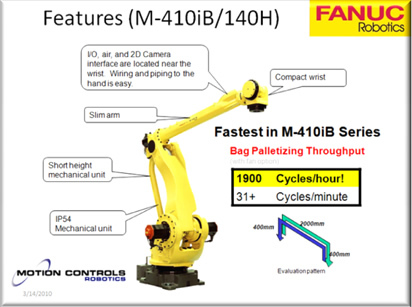 The FANUC M-410 4-axis and 5-axis series of palletizing robots are very popular for freezer room palletizing applications. 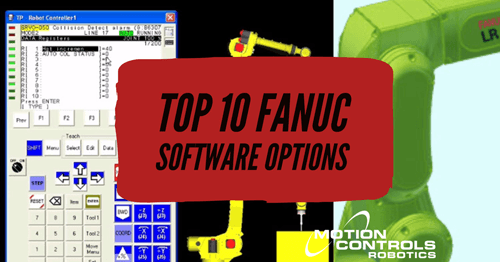 All of these robots and numerous others from FANUC eliminate the need for operators to endure hazardous conditions and improve operating efficiency for food makers and other manufacturers. 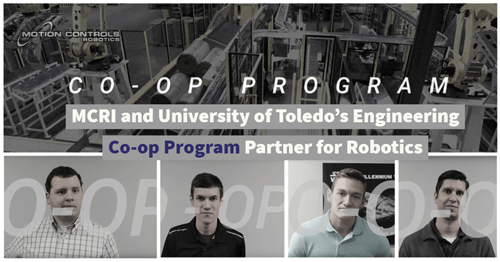 Some of these applications use the robot as-is, employing the warm up routine described above whenever startup occurs after an extended downtime for the robot. In other applications, integrators or users have wrapped the robot in a protective, heated suit. You can see a FANUC M710iB robot trimming pork, wrapped in a heated suit in a very popular video. 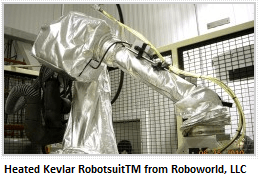 Roboworld, LLC of Chagrin Falls, OH is the leading manufacturer of custom heated robot suits and suits for other hazardous environments where robots are routinely put to work. At Roboworld’s website you will see robot suits designed for cold room applications such as food/package handling and palletizing as well as hot and/or hazardous environments like those found in die casting and investment casting applications, machine tending, surface finishing, spray/blast applications, and high pressure wash environments. 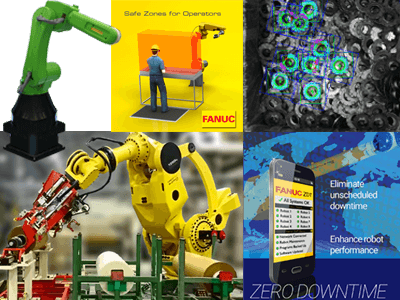 Whether we work with Roboworld to specify and supply a protective suit, or take advantage of the rugged design of a naked FANUC robot, your business interests will be well protected with a FANUC robot supplied through Motion Controls Robotics, Inc – your FANUC Level 4 Certified Servicing integrator since 1995. 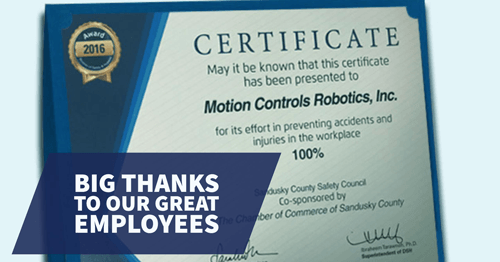 Contact Motion Controls Robotics, Inc. in Fremont, OH at 419.334.5886 if you have a robotic material handling, palletizing, or case packing application in a cold room or other hazardous environment. #2 of 5 Most Commonly Asked Questions From New Customers- What happens if the cell fails after you (the supplier) have left our site? What Is Included In the Lowest Priced Factory Automation Solution? 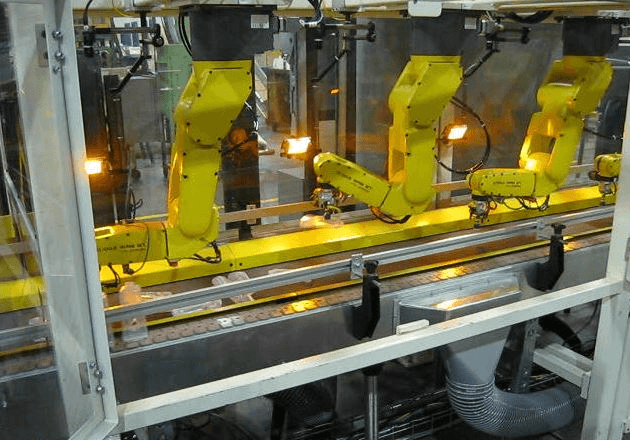 previous post: Unraveling Degrees of Freedom and Robot Axis: What does it mean to have a multiple axis pick and place or multiple axis robot?